Walking. The simplest activity but one of the best things you can do to keep your body – and your mind – healthy. It is so important to be active outdoors. And yes, I know it’s f-f-f-f-freeezing out there right now, but you know what, the cold weather makes walking even more beneficial for you. 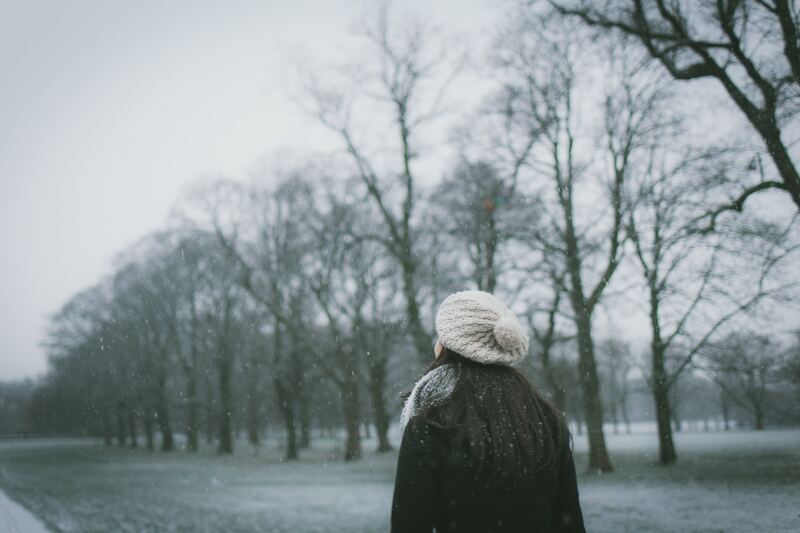 Want to know why you should head out for a winter walk? Then read on. Wrapping up and going for a walk in the cold will help your body to burn more calories than if you go for a walk during warmer weather. Colder temperatures boost your body’s calorie-burning capabilities as it has to work harder to maintain your core temperature. Going for a regular walk can really help to boost your mood and help beat depression. Experts say that even just 20-30 minutes of brisk walking can help endorphin release and have a similar impact on your mental health as more strenuous forms of exercise. So if you can’t face heading to the gym, go for a walk instead. You’ll find the fresh, cold air can really help to clear your mind and make you feel less stressed. Mental health charity Mind also recommend country walks as being especially good for reducing symptoms of depression and raising self-esteem. Who says you can’t look good when going out for a walk? If you’re heading out in the winter months, you’ll need to layer up and choose clothes made from high quality, breathable materials. Check out women’s adventure clothing by Sherpa to keep you toasty. Walking doesn’t have to be a solo activity. It’s actually a great opportunity to meet with friends and have a good catch up. Try to walk a decent speed – fast enough that you can feel your heart-rate rising but you can still hold a conversation. Experts say that we need to be out in the sunlight for at least 15 minutes every day to get our recommended dose of Vitamin D.
So get outside in that fresh air in your lunch break, or whenever you can squeeze it in, to help keep your heart and bones healthy, and lower your risk of osteoporosis and heart disease. When you’re out with the kids, you tend to stick to the fastest route to minimise the risk of little legs getting tired. If you’re out without the little ones, make the most of it. Get to know your local area better – there are probably loads of places you haven’t explored yet. And you can properly relax and enjoy it – if you’re out walking with a friend, you’re very unlikely to need to carry them on your shoulders on the way home. Did you know you can practise meditation while walking? This isn’t just strolling about – walking meditation is all about walking mindfully, using all your senses, and noticing everything around you. Most importantly, going for a winter walk is some fab time for you. Clear your head, look after your body, breathe in that fresh air and enjoy some quiet time. Aaaaah. Do you enjoy walking? Where’s your favourite place for a winter walk?